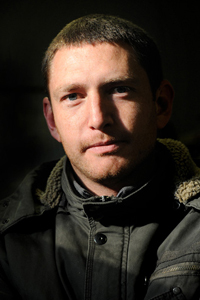 Michel Bega has worked as a press photographer for the Johannesburg daily newspaper The Citizen since 2008. He photographs news, sports and lifestyle events. Prior to this Michel worked as The Citizen’s Web Editor, Deputy Production Editor and as a Sub Editor. After years of sitting behind a desk in the newsroom watching others go out to gather news, Michel could no longer resist the urge to pursue his initial reasons for entering the journalism profession – to become a press photographer. In his spare time he offered to cover assignments for the newspaper and built a portfolio awaiting an opening in a newspaper photographic department in Johannesburg. The opportunity presented itself in 2008 at The Citizen. He graduated in 2001 with a journalism degree from the Tshwane University of Technology.